"Diamonds are a girls best friend!" and they are found in Canada! Who knew right? Canada is not only home to diamonds but also one of Canada's national treasures, Ammolite. “A diamond in the rough” is a phrase often used to describe a person who is incredible, once you get to know them. But what about the literal meaning of this phrase? We think of diamonds as glorious stones that are found twinkling in shop windows and adorning our bodies – not as huge operations that employ thousands of people with a myriad of exceptional skills. People with jobs from engineering to polishing all work in mining across our beautiful country. To date, diamonds have been found in Ontario, Quebec, and the Northwest Territories, and are often sent to Yellowknife for cutting and polishing. A truly Canadian diamond will have a polar bear or maple leaf laser engraved on the girth. Try finding THAT with the naked eye! Ammolites are considered to be one of the “National Treasures of Canada” because they are extremely rare. According to korite.com, “Ammolite originates from prehistoric marine fossils that date back 71-million years. Tectonic pressure, heat and mineralization formed the gemstone…” and come from ammonites; according to canadafossils.com, ammonites are “Ammonites are the fossilized, hard shells of extinct mollusks”. What is most remarkable is the opalescence of this gem comes in all colours of the rainbow and in so many different sizes, form the size of your thumbnail to the size of a large person! Want one more thing that sparkles on the world stage? 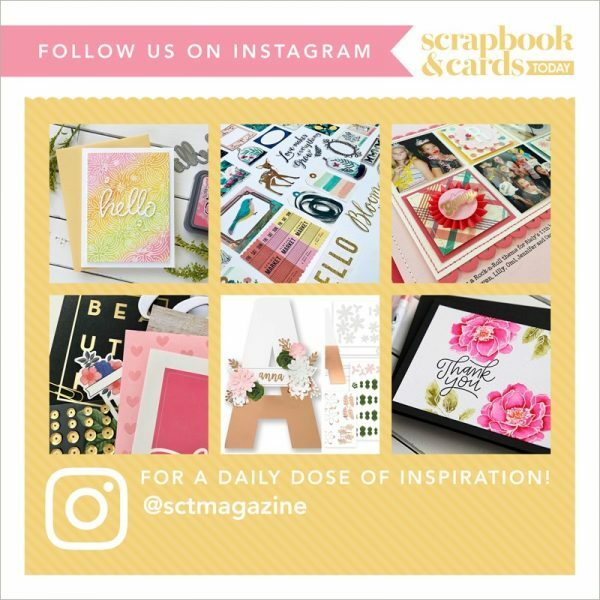 Thanks to all our wonderful readers in 120 countries, Scrapbook & Cards Today does! I know, I know a weak segue but we want to give a copy of our latest summer issue away this hour along with our hourly prize of a loonie and a toonie! For an opportunity to win this hour's prizes be sure to leave a comment below by July 7th and we will randomly select one lucky winner this hour to win them! After leaving your comment here we hope you'll take a moment to visit us on Facebook and Instagram (@sctmagazine) and leave a comment there as well for THREE chances to win! We'll be compiling all the comments each hour. Next hour we are sharing some fabulous layouts we received from readers! Fun Fact: Large parts of Canada have less gravity than the rest of Earth. The phenomenon was discovered in the 1960s. Awesome prizes this hour! Thanks for the informative facts, as well as for the opportunity to win! I would take an ammolite over a diamond any day of the week. They are beautiful. Beautiful gems from a beautiful country. Oh Canada! That photo of the diamond mine is amazing, looks like the ocean is about to spill into it at any moment! And the segue is totally appropriate – SCT is a publishing gem to all of us!! While I am definitely a big fan of sparkle and shine, unfortunately I don’t add real diamonds to my projects but I do like them to sparkle. More fun facts… I am thinking of printing off all of these posts and putting them into my own Canadiana scrapbook!! LOL Thanks for doing this and the chance to win a some prizes! Thanks for all the amazing facts about Canada! And thanks for the chance to win! Beautiful Gems from a Beautiful Country! My hubby gave me a ring for our 10th with the Canadian diamond. They are gorgeous! Very nice! I love, love, love sparkly things. Canada does like to Sparkle and Shine. Beautiful pictures and very interesting topics! I’d forgotten about the Canadian diamonds and ammolites. 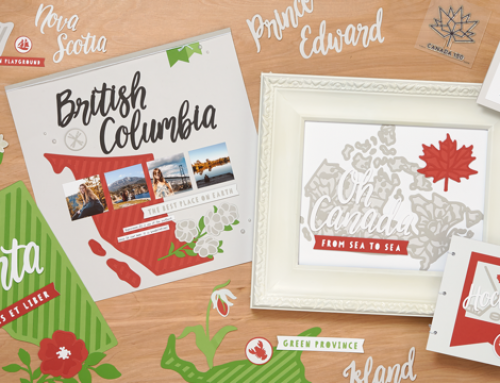 So fun to review…Happy Birthday Canada! looking for ideas for my greeting cards. Happy 150. I didn’t know about ammolite. I’ll have to check to see if our science museum has one. They look beautiful. Beautiful gems, Happy Canada Day! I’m lucky enough to own some beautiful ammolite jewellery and would dearly love to own a Canadian diamond. Truly Canadian bling!!! Who knew!! Wowzers! I have seen Ammolite before and it is gorgeous! Happy Canada 150! I did not know about ammolite(s) – so pretty! I am going to have to research those areas with less gravity….that is one fascinating fact!! Thanks for the information about ammolite! What fun today! Ammolites are lovely but pricey! Beautiful gems from a gem of a country! I hadn’t heard of Amolites before this but what a beautiful gem! Almost like the Northern Lights in a stone! Absolutely breathtaking! TFS! Learning new information this hour and enjoying the fun facts. Thank you. Ammolites are beautiful!!! Happy 150 Canada Day. My favorite rock-related fact about Canada is that Newfoundland was part of west Africa back during supercontinent Rodinia (before Pangea.) Thanks for the opportunity to win. I had never heard of ammolites, but they are gorgeous. Learning so much today. Very nice pictures! Thanks for the fun facts and the chance to win! Would love to see ammonite in person, the picture is stunning. Happy Birthday Canada! Ammolite is so beautiful! Happy Canada Day! I’d never heard about ammolites. Thanks for all the great info. I’ll be on the look out for those now. Would be easier to find a copy of SCT tho ? Now this is my kind of stuff. I love rocks! thanks for sharing some fun facts about Canada! Interesting pictures! Happy Canada Day! Loving reading the great facts about Canada. That’s so cool. Learned so much today. I would love to learn even more with this issue of SCT! Those are two great Canadian products that we can be proud of! My gosh! What a beautiful stone Ammolite is. This is the first time I see one. It’s a privilege to have such beautiful things in Canada. I was thinking that the ammolites reminded me of opals. Opals come in so many different colours. I do love diamonds. Beautiful gem and I love the fun facts. Happy Canada Day!!! Love both gems. I am fortunate enough to have an ammolite necklace – a keepsake from a trip to Jasper, AB. I did not know this about ammolite! What a fun fact! Thanks for the chance to win! Loved reading about ammolite. What a beautiful stone this is! I didn’t know that Canada was home to diamonds, let alone ammolites. Never heard of those before, but they sure look spectacular! Thank you for the new information about ammonite – I had not heard of this before. Oh and here I thought you were giving away a diamond or ammonite – haha!! Gorgeous photos of both!! Interesting fact about gravity. Ammolite is a beautiful Canadain stone ??? Love all the great facts! More amazing facts about Canada – so beautiful and Canadian. Thanks SCT and Happy Canada Day. Beautiful gems and wonderful prizes! Lucky enough to have some Ammolite from my parents!!? So many fabulous treasures in our beautiful country! Your wonderful facts just keep coming and coming!!! Ammolite is so beautiful. One day I hope to have a piece of jewelry made with it. I’d never heard of ammolite before, but I do know that the publisher of SCT is definitely a diamond!! Happy Canada Day Catherine!! Thanks for the information about diamonds and ammolites! Very interesting facts. Thanks for the chance to win blog candy! Canada rocks, in more ways than one! I hadn’t heard of ammolites before – so beautiful! I have Never seen an ammolite before, very pretty! I don’t think I would say no to one of those over a diamond. I had never heard of Ammolite before. What a beautiful stone. Diamonds are okay but that ammolite is awesome! I would rather have it than a diamond. Happy Canada Day !!! These hourly posts are a super creative way to honour our fabulous country and learn some fun facts. Thanks and well done SCT! This is new info to me but the stones are so beautiful. Those natural artifacts are so pretty. I am in love with the rainbow one. Thanks for sharing the fun facts! The ammonites are gorgeous. Do you get other opalised fossils in Canada? Wow, thanks for the great info about ammolites. Loving all the fun facts being shared today! Ammolites are beautiful to look at. How cool that this country also has diamonds and agree with a previous reader who said we have our own gem in SCT. Really enjoyed the fun fact. Did not know about less gravity in certain places….will have to read more about it. Gorgeous, so much new info. Thanks. My diamonds are Canadian. So very special. Very nice! Happy Canada Day! Great Information!! Very Beautiful gem!! I actually have a Canadian diamond in my engagement ring. I chose to have a smaller stone room a no brand jeweller than a big shiny bauble from a luxury retailer. Knowing my stone is “clean” means a lot to me.